Yeah, I've been working on my liberal arts degree for seven years. I'm hoping to get a job at Jerry's one day, and move in with some old lady who will take care of me. You know Cafe is one of the hippest off-campus hangouts because it is surrounded by millennials glued to their texting machines, and carrying backpacks full of participation trophies. Maybe Tommy can zero in on some bible verses that might help his mom with these new and exciting feelings. On this blessed Thanksgiving Day, I am grateful that today's comic strip has ruined my appetite, thus saving me from consuming thousands of unnecessary calories. I join Mary and friends from years past to wish you a happy Thanksgiving. Maybe Tommy can teach Iris's new boyfriend to shave. Wait. Does the sequence of these two panels suggest that reading the Bible is like a TSA screening? Relationship advice from Dawn Weston. If your bond is strong enough, the longer you're apart the better. Where's Mary in all of this? Are we to assume that an entire week has past with no meddling? Mary is leaving Dawn Weston to do her job? Clearly, there have been changes, but I'm not sure I'd say a lot has happened. "Sure, Dad, I'll be fine. Just keep paying the rent while you're gone. Have fun. TTFN." There's really only two ways this can end, Wilbur. You either successfully extract yourself from the Worthiverse and Iris never sees you again, or the Syndicate discovers your plot and you end up in the "Dip." Be careful that you know what you're doing, Wilbur. Once you leave the Worthiverse, you can never go back. Also, there are fewer women in the real world who are inclined to date an overweight comic book character. Well played, Wilbur. Well played. The first step in a successful Worthiverse extraction is to sever all emotional ties. It must be done in a such a way that former loves and family do not come looking for you for at least a year. This means they need to believe that they broke up with you. Well played, indeed. Of course, none of us can blame Wilbur for running away from his life. But I get the feeling that something far more devious is up his sleeve. I believe Wilbur has found a way to extract himself from the Worthiverse and access the real world. Of course, he has to cloak his language to ensure the King Features Syndicate doesn't suspect anything. If the Syndicate starts to believe he could extract himself, they will have no recourse but to take punitive measures, like killing him off, or worse, marrying him to Iris. Parse his language carefully over the next few weeks. He may be sending us secret messages, seeking support and asylum. This sounds a lot like Adam Miller wanting to spend all his time with that congressman. Maybe Wilbur thinks it will turn out just the same. That car appears to be going into some sort of skid. Don't drive angry, Wilbur. Don't drive angry. Whether intended or not, perhaps the most effective break-up line ever spoken. He was in Japan for four months, but it seems he never communicated with his daughter while he was gone. Or his girlfriend. Probably because Japan is so far away. I mean, how could they have possibly communicated? It takes months for a letter to cross the Pacific on a sailing ship. Wait, that's it? Here's a casserole, see you in a year!? Where is this headed? Please do NOT let this be a year-long story about Wilbur traveling the world in search of other people's adventures. If it is, I'll see you in a year. 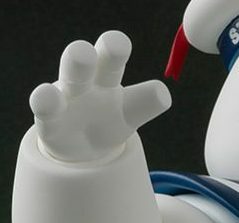 "Reminds us of Mystery Science Theater 3000"
"What's that?" - My teenaged daughter. Read today's Mary Worth comic at the Official Mary Worth website! 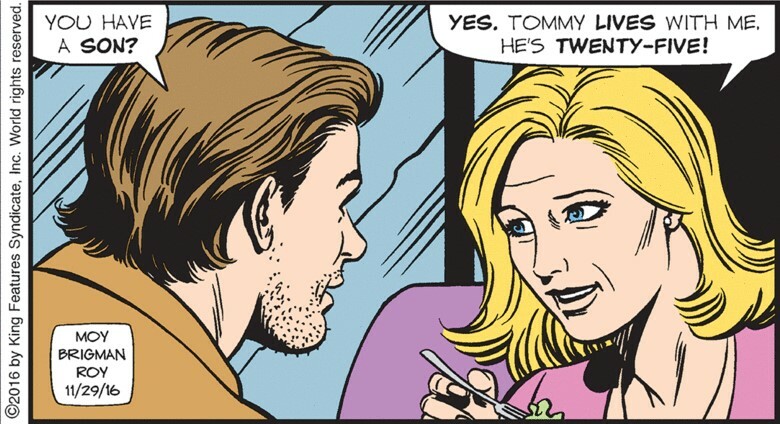 Hold your cursor over each image for a FREE secret message from Mary Worth & Me. Your donations go to a very worthy cause! Every dollar will go to rehabilitate Santa Royale's lost souls: Jill Black, Dan Smithers, Nola Wolvenson (REHABILITATED), Bonnie Johnson (REHABILITATED), Helen Clark and especially Wanders himself. This jukebox is provided as a courtesy by the condo board. 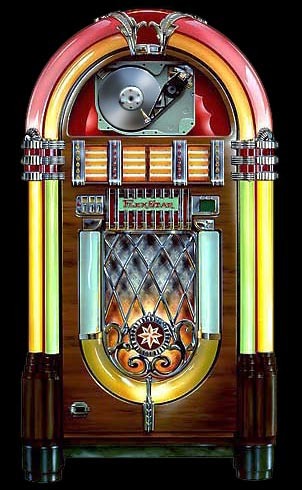 Please do not kick the jukebox. Contact Mr. Allora if you have a problem. Subscribe! Never Miss a Moment! 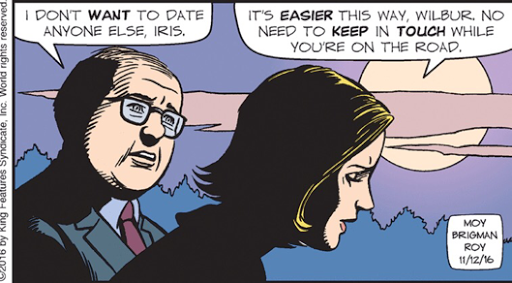 Mary Worth is the work of writer Karen Moy and artist June Brigman, and until recently, the legendary Joe Giella. It is owned by King Features Syndicate, Inc. All images from the comic strip are owned by King Features Syndicate. 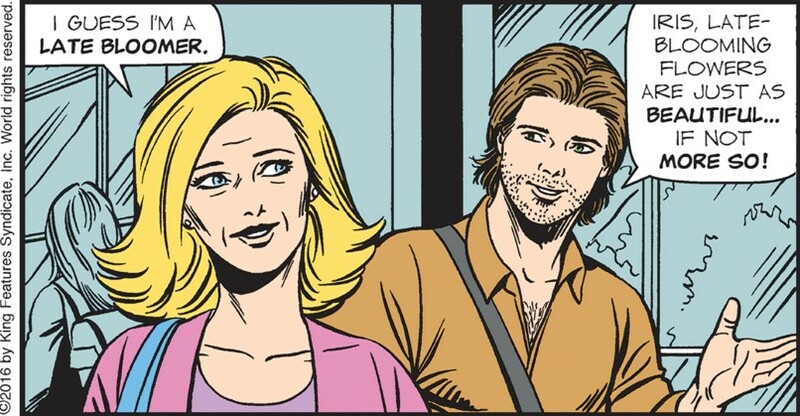 This site is meant to critique, parody, and promote Mary Worth and falls under the Fair Use doctrine of copyright law. Personally, I hope that King Features Syndicate, Inc., will agree that fan interest in this great strip is a good thing. My only ambition is that somehow my meager efforts might serve to enrich Joe Giella, Karen Moy, June Brigman and of course King Features Syndicate, Incorporated.